AFANDOU RHODES. 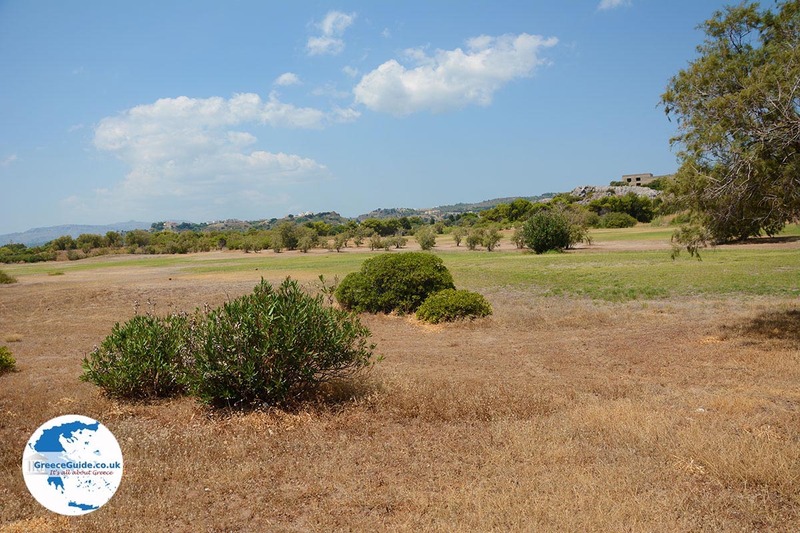 Afandou is located on the northeast coast of the Greek island of Rhodes, at a distance of approximately 20 kilometers (12 mi) from Rhodes town and six kilometers (4 mi) from Faliraki. 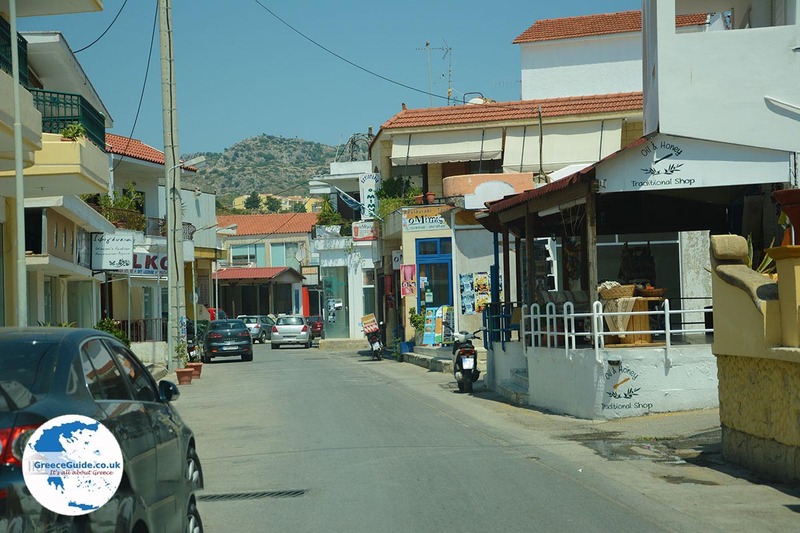 Afandou is a village, but it’s also the name of the municipality, which includes Kolymbia and Archipoli. 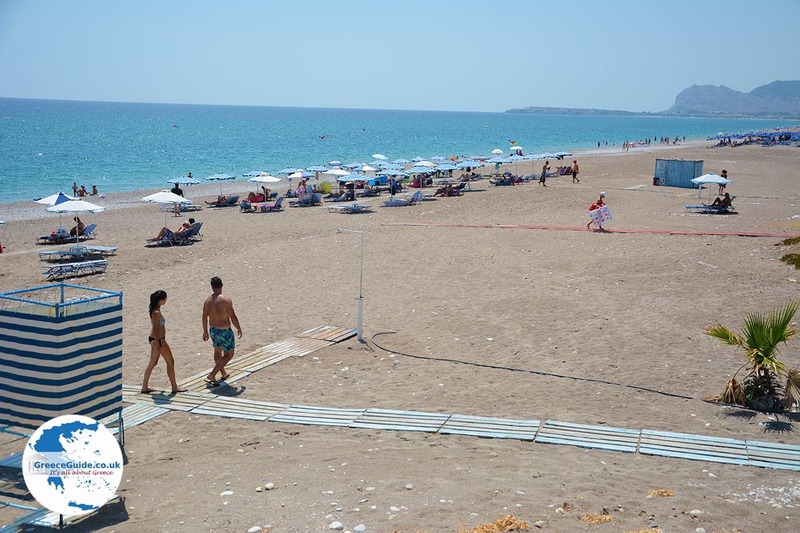 Afandou Beach is the longest beach on the island of Rhodes. It is a beautiful and clean beach, with very clear seawater. The beach is a sandy/pebble beach where it is best for children to wear water shoes. The seawater is pretty cool even in summer. 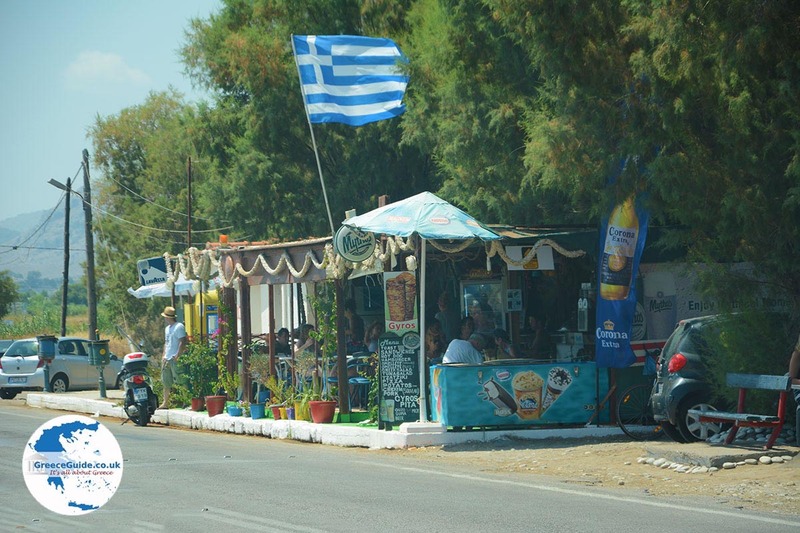 There are beach beds and umbrellas to rent and there are a number of fish taverns, restaurants and snack bars. 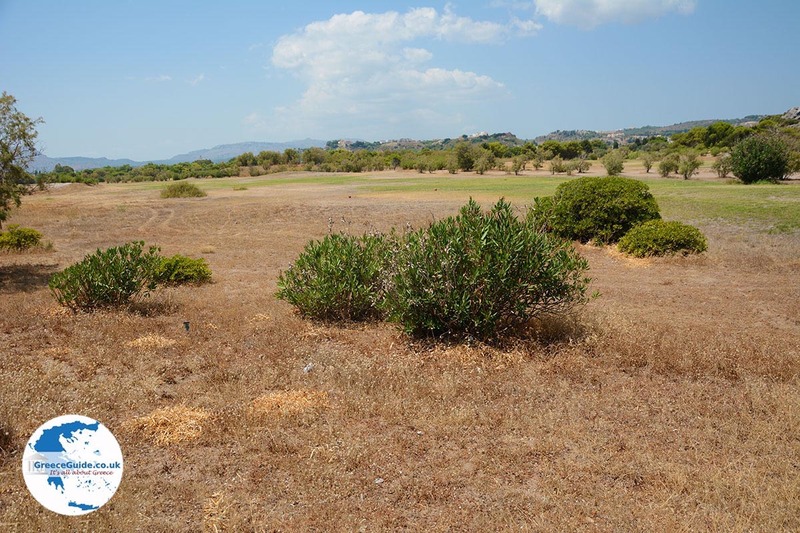 Near the beach in Afandou there is a well-known modern 18 hole golf course. The site is open all year round. 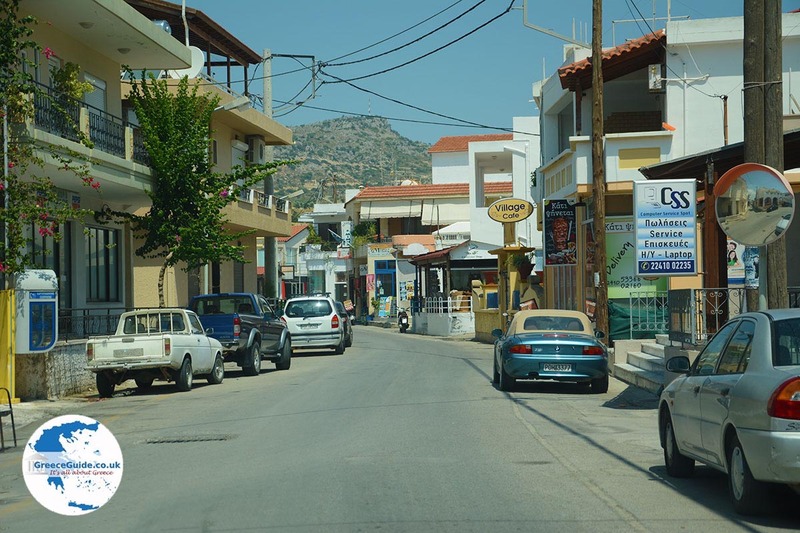 The town square of Afandou is lively, with several cafes, restaurants and shops. A tourist train runs through the village with a jumping-off place at the beach. 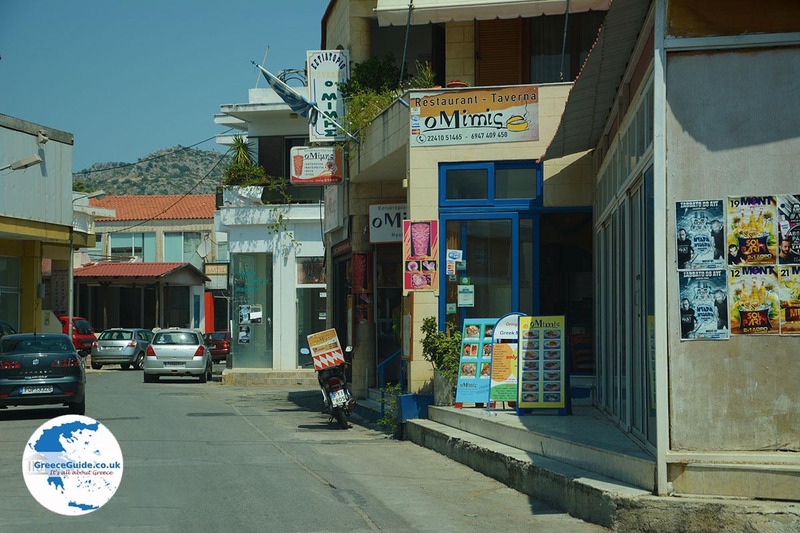 In Afandou there are many hotels and apartments for rent. 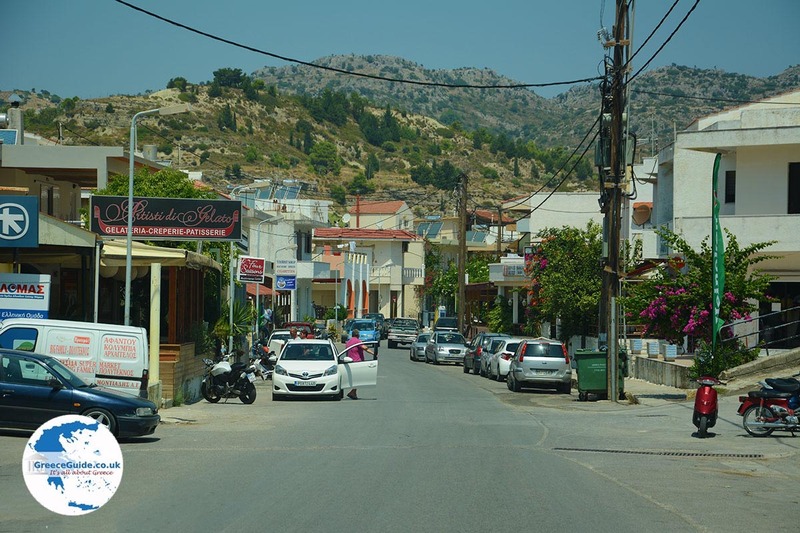 Afandou is one of the oldest and largest traditional villages of Rhodes. It has about 7,500 inhabitants and mainly attracts families and couples, who want to stay in a central, pleasant and lovely place. The local cuisine and hospitality have always been strengths of Afandou. 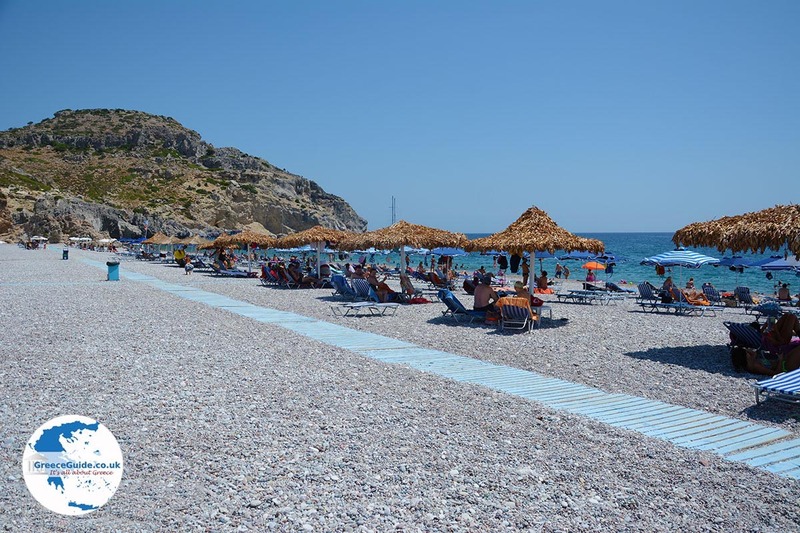 Nice trips from Afandou include: Rhodes town, Lindos, Butterfly Valley, Kamiros and Kalithea. 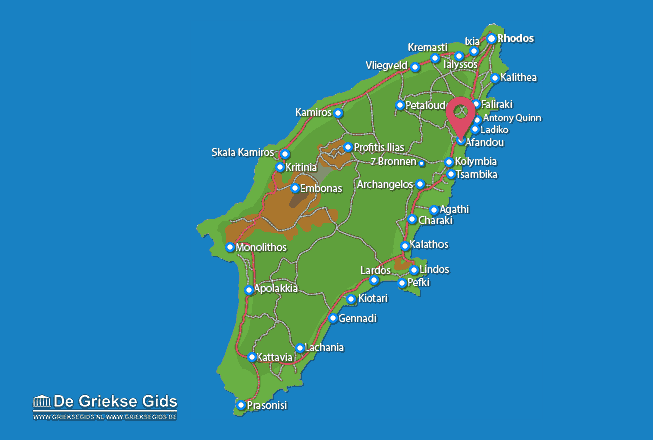 Rhodes: Where on the map is Afandou located?